Arcona Yachts in Sweden have been building boats for more than 40 years. With almost 1000 Arcona boats built and an annual capacity of 50–70 boats they are regarded as one of the largest and leading Yachtyards in Sweden. The Arcona 355 was originally designed by Tommy Steel and a number were built under the name Facil 355 XO. Arcona Yachts purchased the molds and production rights in the early 90's and, after many improvements, presented The Arcona 355. The manufacture of this beautiful and coveted classic continued until 2009. This example has been in the same ownership since new and has clearly been looked after, regularly serviced and upgraded. We believe she is the only one in the UK and is likely to sell quickly and ready to sail away now. 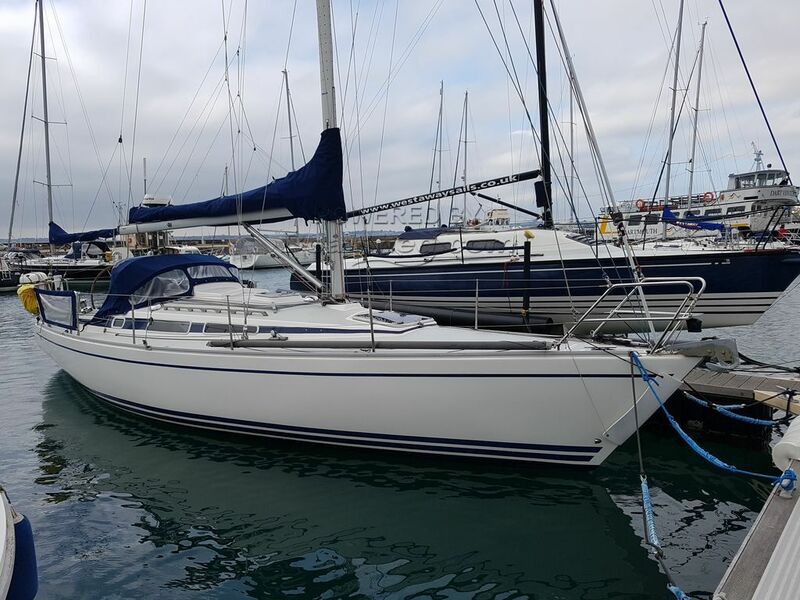 This Arcona 355 has been personally photographed and viewed by Phil Key of Boatshed Torquay. Click here for contact details.